The fine folks over at 2StrokeBuzz found out that Haynes is now offering a brand new service manual for Lambretta scooters. So if you’ve got an old Lammy that needs fixing, there’s new know-how for the having. Head on over to 2SB for more info. Our favorite vintage scooter blog, 2StrokeBuzz, just shared a link to a treasure trove of vintage and custom scooter photos from the annual Landsberg Scooter Customshow. Apparently the winners of this year’s competition have been announced. I’m seeing this style more and more on the custom motorcycle scene lately. Mostly it’s been on really cool hand-painted leather riding jackets, but occasionally I’ll find it on a motorcycle gas tank. Here we have this distinctive style working really well on a vintage Lambretta. What do you guys thing? Dig it? 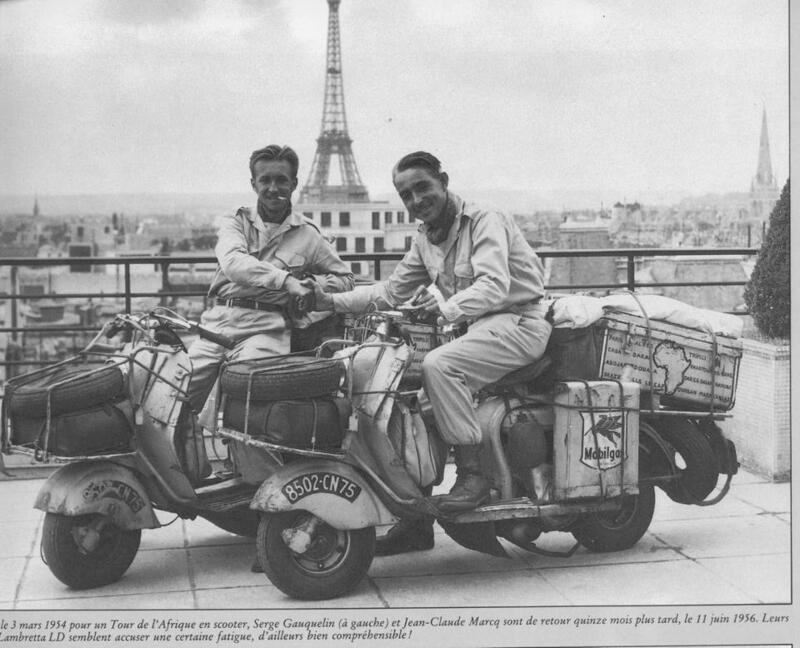 Some people think you need a giant touring motorcycle if you’re going to travel on two wheels. Not so. From the smallest 50cc moped to a vintage Lambretta, all you need is a road. You don’t even need a destination if you don’t want on. Just tie on your gear and go. No excuses. 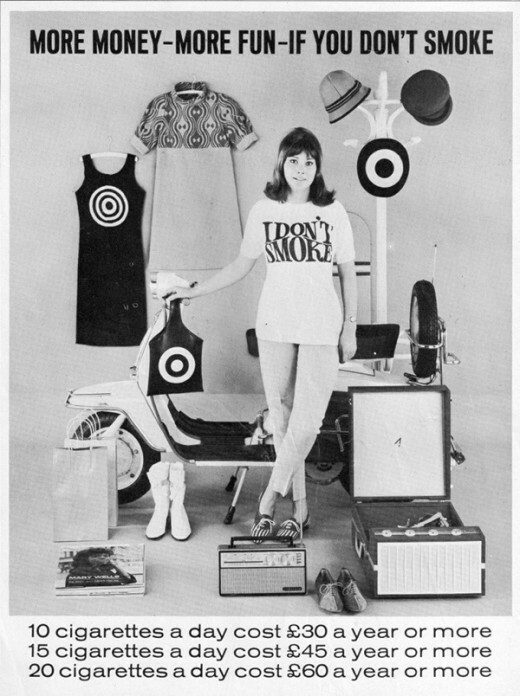 As part of a 1966 anti-smoking campaign, this print advertisement appeared showing off all the cool, fun things you could supposedly afford if you gave up cigarettes. Brits on vintage Italian scooters buzzed their way through the closing ceremonies of the London 2012 Olympics with little or no appreciation for the nationalistic irony. 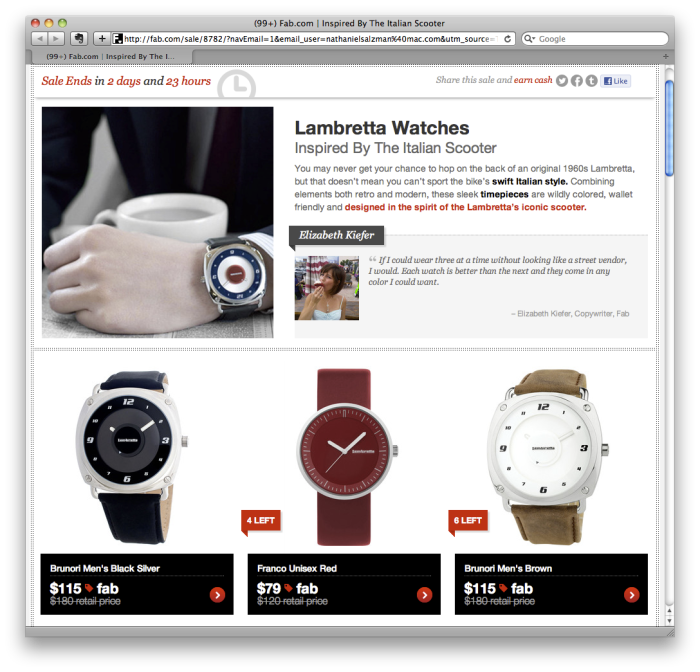 Back in February we featured a Lambretta watch sale on Fab.com. Today they’re back, featuring an updated line of Lambretta wrist watches that ought to even make classic Vespa fans open their wallets. For those who haven’t seen Drake’s Passage, the web series follows professional motorcycle rider Drake McElroy around the world as he tours with Red Bull. One part Nitro Circus, one part No Reservations, the show has a lot of fun, but there’s an honesty to it.